Food blogging is Hazardous. Yeah, what else will you call an obsession when all you can think of, is cooking food (mind you..cooking and not eating..for the eating part, a blogger keeps hunting for a scapegoat ) all day long, and many times in your dreams too. A recipe request by a reader of your blog, in you mail Inbox, could leave you researching various resources till you find that perfect recipe to share . After cooking, comes Clicking sessions, wherein you not only test your photography skills, but also your family’s patience, as the poor souls wait for their turn to assail that tempting looking food(yeah at times food looks and tastes good too..Why the doubts?) , while you are busy with your acrobatics trying to click the picture with hundreds of angles. The passion leaves you not only cooking more but stocking more too (In pantry, in refrigerator and of course in your body as fats). Interacting with bloggers , talking about International and National , local and exotic cuisines, end up with you purchasing more food stuff than required. Above that, the mushrooming malls in vicinity spoil you with loads of choices to fill your shopping cart, and empty your wallets. As a result, the refrigerator is overstuffed with tons of varieties of flours, the ever- flowing- in -vegetables, nuts, corns, mushrooms, breads, herbs and so on so forth.My situation is not different from Dhivya of Chefinyou who expresses her plight funnily with this quote “What can I do if my stocking talents are better than my expending?..lol. But at times, I do feel enough is enough and that I need to give my passion of cooking a well deserved break ( and that happens quite frequently, say ..every weekend 😉 ). That gives break to the grocery shopping too, until I go out of stock of vegetable supplies and then keep wondering what to cook in absence of fresh vegetables. At such times of distress, simple but healthy and filling food is all what I look around for. And Dal sandwich( Dal toast) is one such option. 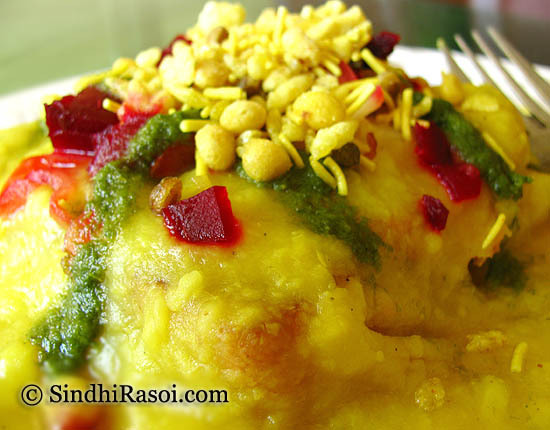 So here comes Dal sandwich, a very popular street food of Sindhis. The recipe is inspired by that of a famous Eatout, called Shankar Dalwaala, though not yummm as his, but still good enough to gobble. Turmeric powder ¼ tsp or bit less. Bread slices (2 for each toast). I used Brown Bread, but you can go ahead with white too. Pick, rinse several times and soak yellow moong dal for 15-30 minutes. Boil it with enough water, salt and turmeric powder till cooked. Whisk it properly, add more water if required , but the consistency of dal should be thick. 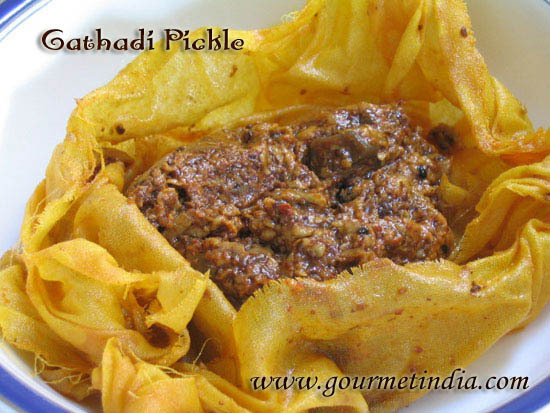 Temper it with a spoonful of hot ghee to which redchilly powder and coriander powder is added. Add garam masala after removing the tempering from heat, just before adding to the dal.Simmer on low flame and make sure the dal is piping hot when you serve the sandwich. Peel and cut in round slices, boiled potato, beetroot and also onion and cucumber. Chop some of boiled potato, beetroot,onion, tomato and sprinkle some salt, coriander powder, red chilly powder, coriander leaves. Reserve these for garnishing the sandwich. Now take a bread slice, apply some butter, place slices of boiled potato, boiled beetroot, tomato and onion/cucumber. Take another slice apply some chutney on it and place at the top of previous slice. 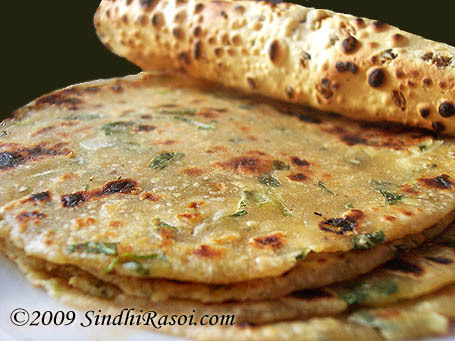 Now heat the griddle, put some oil or butter/Ghee and roast the sandwich on medium flame till slightly brown in color. 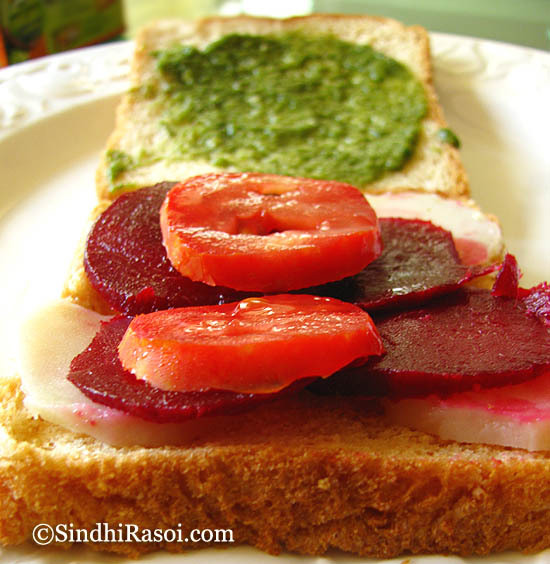 Place the sandwich on a serving plate, cut it into pieces, top it up with few spoons of dal, sprinkle some chaat masala, black pepper powder, red chilly powder, some chutney, tomato ketchup (optional), some of the chopped mixture of beetroot, tomato, potato, onion and finally farsan or sev. yummy and delicious, we all loved it specially my daughter. Thank for the wonderful dish. Can you share the receipe for Batan papdi. I have never heard of such a sandwich. Looks delicious and wholesome too ! Lovely post, enjoyed the read ! Alka.. I am so late.. yes i am kind of back, but barely. Dal sandhwich is looking very yummy and tempting. another nice recipe from ur side . really love ur style of cooking simple and delicious…………..
Yummy! I copied yr dal and made a rasam of it! Hi Alka, new to your wonderful blog! Tasty and healthy dishes recipes are really very sought after. Glad to find this one. Alka, looks delicious. Never heared this sandwich. I will try this. Awesome clicks. This is something new to me..looks delicious! I have never heard of dal sandwich. Looks delicious, golden brown color and tomato..yum..
Now this looks different n Tasty , its like 3 sandwiches in one. haven’t heard of Dal Sandwich.. wanna try this now… its so inviting..
Never heard of this sandwich, looks yummy and tempting..
Dal sandwich is some thing I never heard of…. Dal sandwich is new to me..This looks so yummy .& delicious…will try this …. Me too, never heard of Dal Sandwich. Looks delicious! As for the obsession with cooking & blogging, I understand your pain! At times, even I dream about recipes to post and what to cook for this event and that event, and by the end of the week, I have enough food to host to a small get together! This looks so yummy , could eat right of the picture! Could you be please kind enough to share the address of this Shanker Dalwala… would love to visit him when next in Mumbai. Thank you for sharing this recipe, definitely going to try it sometime soon. 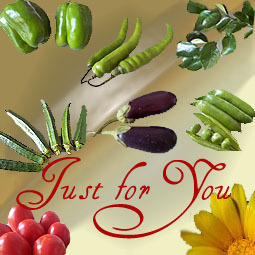 Manisha, you can find the address in Eatout section of this blog. Do you use standard measuring cups in your recipes. 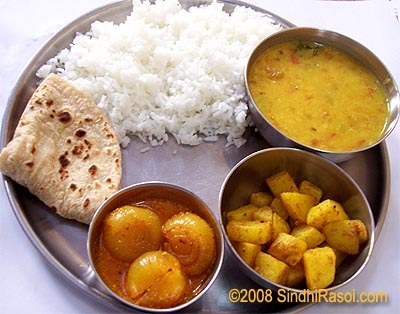 Dal made with 1 cup of moong dal is usually sufficient for two meals !Please clarify . Do you put very generous amounts of dal on top of sandwich? Do you have recipe for one street snack called alu toast?